The Batmobile from "Batman." Photo by Jaclyn Nash. 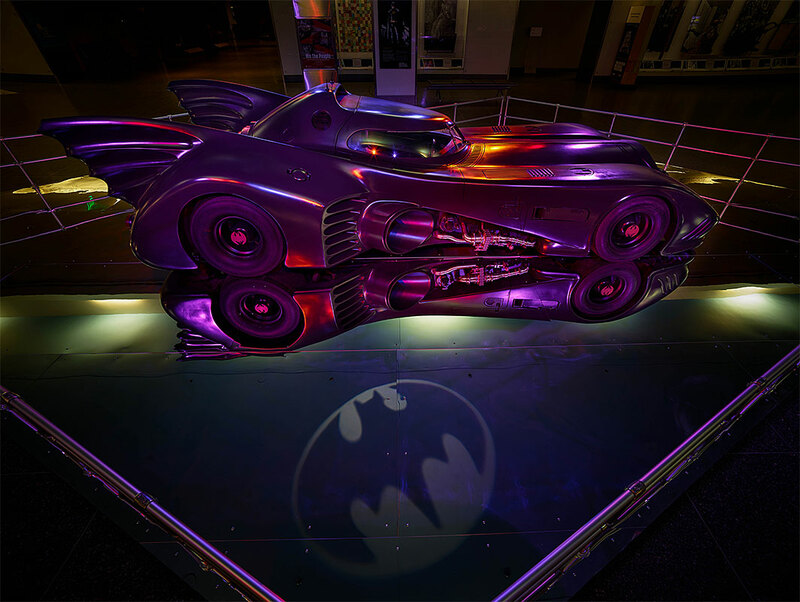 The Batmobile from the Tim Burton-directed superhero film “Batman” is on view. The film—starring Michael Keaton as Batman and Jack Nicholson as the Joker—was the first installment of Warner Bros.’s initial “Batman” film series. Originally built on the chassis of a Chevrolet Impala, the Batmobile was designed by Anton Furst, drawing inspiration from Salt Flat Racers and the Corvette Stingrays of the 1950’s and reflecting the Art Deco influences that Burton’s depicted in his Gotham City. The vehicle is on loan from Warner Bros.